Lydia brings to life ancient rituals of both personal and planetary transformation using harmonic tones and frequencies created by playing Tibetan Singing Bowls, Bells, Gong, and Chimes. Sustained harmonic frequencies have the power to transport us into a space of inner tranquility where it is possible to heal our deepest wounds, ignite our spirit, change consciousness, and re-unite us with the divine harmonies and rhythms of the universe. 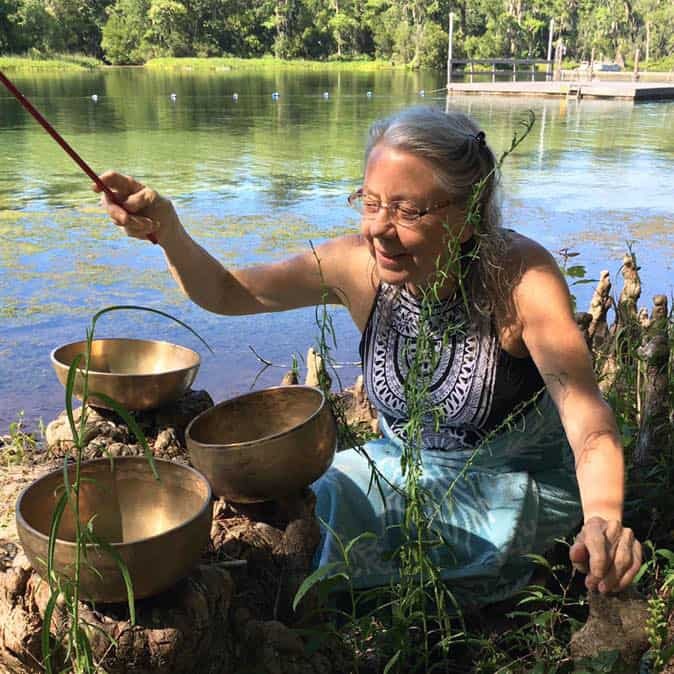 Lydia offers individual harmonic healing sessions using singing bowls, bells, and other instruments along with precisely calibrated tuning forks to create a rich, transformational healing experience.